Back by popular demand, GDS is excited to bring you this classic sitcom adaptation set in occupied France. Hapless café owner Rene Artois is caught between the Germans, the resistance, his wife and two mistresses. Can he keep everyone happy and save the café and his own life? This is an uproarious comedy with all your favourite characters, including ‘The Fallen Madonna with the Big Boobies’! More info about roles on our Latest Show page. Performance dates: You must be available from 11th to 16th November 2013, and preferably the week prior. If you’re new to the group, email granthamdramaticsociety@gmail.com to let us know you’ll be attending, and to get the code for our electronic gate (not published here for security reasons). 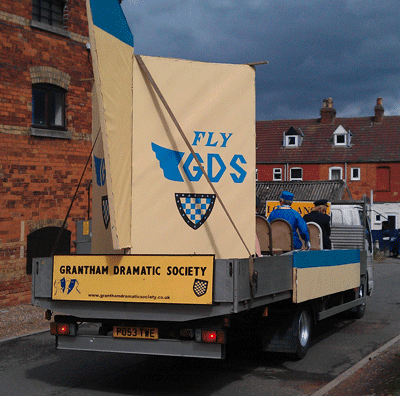 For the third year, GDS had a float and a stall at Grantham Carnival. 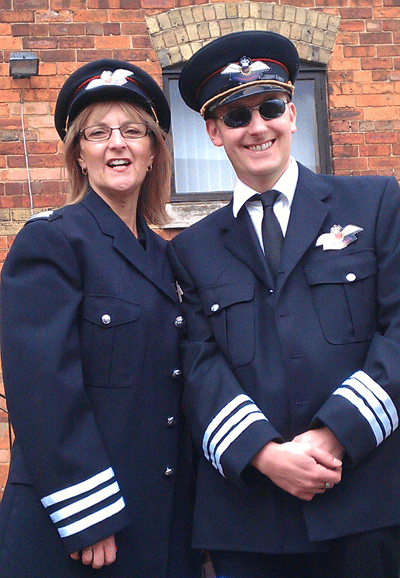 As always, we enjoyed ourselves on our float and raised some extra funds with our stall. 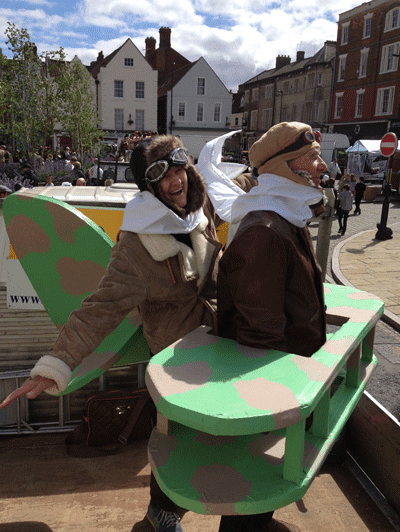 The theme of the carnival this year was 'Events and Inventions that Changed the World'. 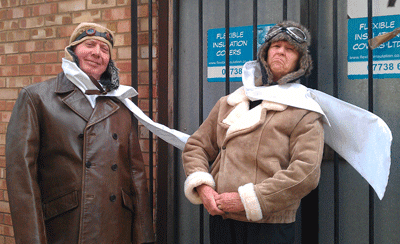 We chose 'flight' which tied in perfectly with our recent production of Boeing-Boeing. There was some controversy over this year's carnival, and we hope more of Grantham's clubs, societies and businesses will join us next year. 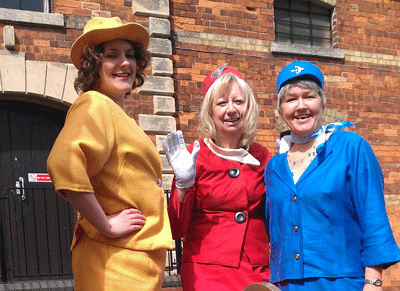 We had a lovely run of 'Boeing-Boeing' at the Guildhall, with great feedback from the audiences. Our surprise dance routine at the end went down particularly well and all the audiences left on a high. 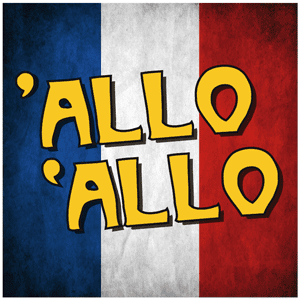 Our next production is going to be Allo Allo - audition information coming soon! Auditions will be open to all, and we'll be looking for plenty of men to take part - help us spread the word!